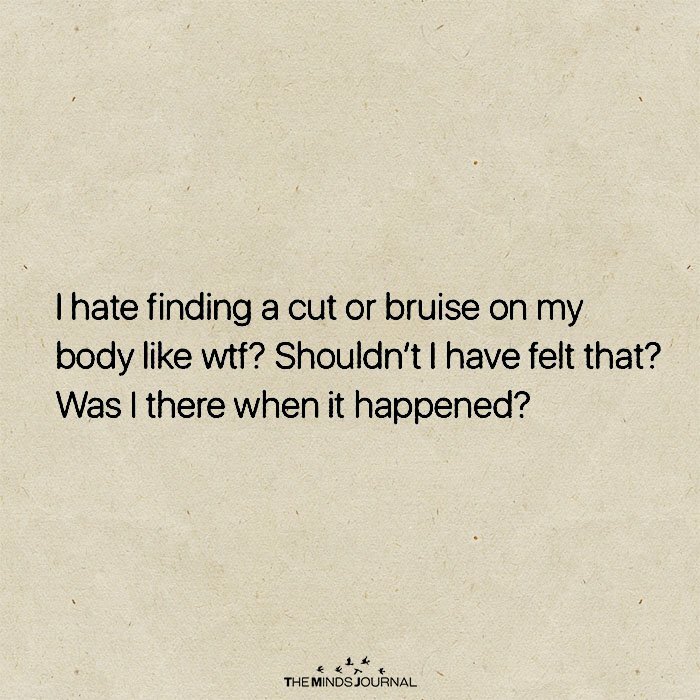 I hate finding a cut or a bruise on my body like wtf? Shouldn’t I have felt that? Was I there when it happened?